Created in 1994, the PriMed traveled in the Mediterranean Sea. 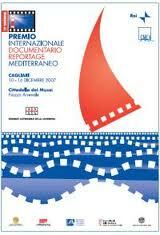 Formerly called “International Award for Mediterranean Documentary and Reportages”, PriMed has been held in Monte Carlo in 1994 and 1995. From 1996 until 2009, the preselection phase was placed in Marseille at the headquarters of the CMCA and the final phase of the event took place in Italy in Palermo from 1996 to 2000, Soverato in 2002, in Syracuse 2003, 2004 and 2005 in 2006 in Civitavecchia, 2007 in Cagliari and 2008 in Turin. Since 2009 PriMed has been organized totally in Merseille. Currently, next to the discussion meetings and conferences for professionals, PriMed offers to the public of Marseilles a lot of free screenings with the presences of directors, expositions, meetings and conferences about actualities and cultures of Méditerranéen Sea.